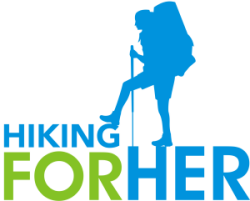 This hiking boot buying guide for women hikers gives you everything you need to know when you go shopping for the perfect pair of hiking boots for your feet. It's designed to be your go-to hiking boot guide regardless of the type of hiking you plan to do. There's a lot to say about womens hiking shoes and footwear, and boots are not equivalent to trail shoes or sandals. So if you're looking for hiking boots, read on. Don't wear sandals on a hiking trail. Your feet are too important to risk bruises, cuts and other injuries. For tips on finding womens hiking shoes, read this. Why did I bother to write this hiking boot buying guide for women hikers? To be helpful, of course! It's tough to go boot shopping when you don't know your way around a pair of boots. It's easy to get sucked into pretty color combinations, fancy designs on the soles, and the creative names given to hiking boots these days. I'm here to help you navigate! that will stand up to the demands of the type of hiking trail you choose. Durability and comfort on the trail should be on your list, too. There are 3 things to consider when looking at hiking boots: anatomy, hiking style, and hiking terrain. So let's focus on each in turn in this hiking boot guide. Anatomy separates the human species into two genders. This gender rule applies even to our hiking feet, according to this article comparing male and female foot shape. Female feet are not simply smaller versions of male feet. Male feet tend to be longer than female feet. Female feet are more narrow. For women, the toe region and instep of feet are higher compared with males. For more details about female -vs- male feet, go here. So doesn't it make sense that women need to shop differently for hiking boots than their male trail buddies? You're already in the "women only" category by virtue of your birth. Day hikers carry light packs and keep mileage and elevation to reasonable numbers on each hike. Overnighters carry hiking camping equipment in addition to the ten essentials a dayhiker carries. You can bet that footwear needs to be chosen carefully for each of these types of hiking. 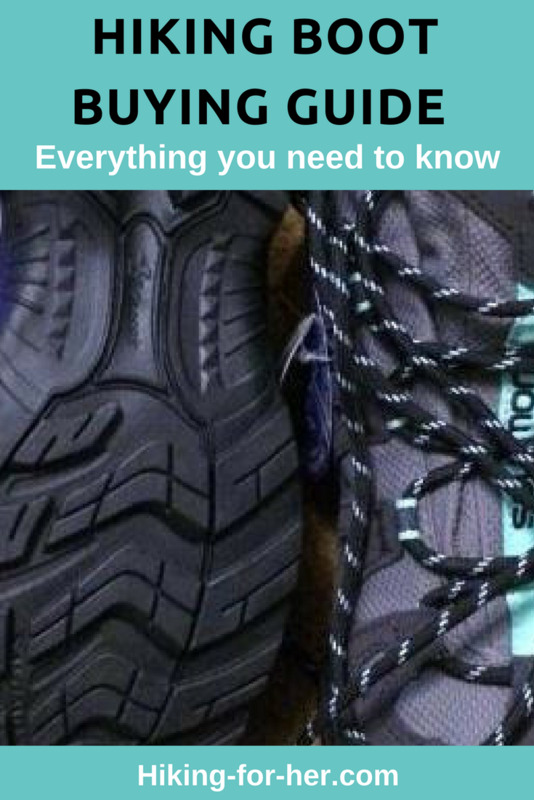 And be forewarned: As you dabble in these different styles of hiking, your hiking footwear will expand beyond just one pair of hiking shoes or boots! Flat, well maintained (as in few rocks, little to no blow downs, and bridges across streams and rivers) trails don't need a lot of foot support unless you have a pre-existing foot condition. Rocky, root-y, muddy trails with elevation gain and loss are an entirely different kettle of fish! Always over-buy your footwear to accommodate the worst conditions you will hike through. Don't know yet what that looks like? Go for the most support and durability you can afford, while keeping in mind how heavy the boots are on your feet. Keep your eye on these 3 key factors! Next up in this hiking boot buying guide: a look at hiking boot construction. In this hiking boot buying guide discussion, nothing ranks higher than how the boots are put together. To do a thorough job of sizing up a pair of boots, you should consider how protected your feet will be. This in turn depends on which materials are selected for the design of the boots. Does this surprise you? Shouldn't fit come first? Weed out the inferior boots and only try on the hiking boots that will do a good job of supporting and protecting your feet on the trail. If you want foot protection for day hiking and occasional overnighters, stick with hiking boots that feature combinations of nylon, split-grain leather (only the smooth outer part of the leather is used) or suede materials. Low to moderate durability, meaning you will need to replace them frequently under heavy usage. Thus, the lower cost at the beginning might become a disadvantage if added up over many hiking seasons. Not waterproof unless specifically stated; look for "Gore-tex", "eVent", or "waterproof membrane". If you want hiking boots for backpacking with a heavy pack, shop for full grain leather boots. You can predict that the pros and cons will be somewhat opposite of lightweight hiking boots, right? Just a note on terminology: "nubuck" leather has been buffed to make it pretty, like suede. This prettiness will disappear completely after a few muddy hikes, so set your expectations correctly. Don't like the idea of using animals for leather? Read this vegan hiking boots guide. Don't spend your hard earned money on boots that don't have adequate soles. After all, soles cushion and protect your feet from trail hazards. They also provide a solid grip. Your feet deserve the best soles possible! So read on for specific hiking boot buying guide sole tips. Imagine yourself picking up a hiking boot. If it's cemented, can you see excess glue or gaps? If it's stitched, how far apart are the stitches? Bottom line: cemented means less durable; stitched means you can replace the sole if desired. Guess which boot will cost more? Most hiking boots will feature synthetic rubber material for outsoles. The more "lugs", or protruding pieces of rubber in the tread, the more traction you can expect from the boots. Look for widely spaced lugs to get the most traction for your money. The word "Vibram" featured on the outsoles guarantees the highest amount of durability and traction. If you're looking for backpacking boots or aggressive dayhiking boots, invest in Vibram soles. If you plan to hike in rugged terrain carrying a heavy pack, you need soles that are stitched on tightly, and feature Vibram soles with an abundance of lugs. If you're a casual dayhiker, go for cemented soles with moderate tread. Now that you've inspected the sole on the bottom of the boot, called the "outsole", you're not done yet! There are a few other soles to think about. But first, to shank or not to shank. Here's where trail shoes and hiking boots differ. Boots will have a "shank" between the outsole (what you hold in your hand) and the rest of the boot. Trail shoes, being very lightweight, skip the shank. What do shanks give you? That's a good thing on a hiking trail! You want to keep your balance when you clamber over a downed tree, or work your way across a pile of boulders. Shanks are created from stiff materials, and may be embedded inside the midsole (coming up next), or are found sandwiched between the outsole and the midsole. Some shanks run the entire length of the boots, others only halfway. Consider whether you need stability for your feet, and then look for the boots that include, or omit, shanks. You can never be too sole-ful! Let's keep with the sandwich theme, shall we? The middle of the boot sandwich is aptly named the midsole. The purpose of the midsole materials is to absorb some of the shocks of the trail before they can be transmitted up your leg bones. The particular combination, amount and dimension of these materials will give your boot various degrees of shock absorption, flexibility and durability. Stiff midsoles give more shock absorption on rocky trails and under heavy loads. Now let's finish up with the insole. If you stick your hand into the boot, you're touching the insole materials. Some boots have removable insoles, others do not. The insole is what supports the arches of your feet. By this point in your adult life, you're well aware of the shape and height of your arches: high, low, flat or whatever word you use to describe the area that does not contact the insole. You can customize the support of a hiking boot by adding inserts, either purchased at the hiking gear store or custom made for you (orthotics) by a podiatrist. Spend the money it takes to get the best fit for your hiking boots. Your feet will make or break your hiking career. Maybe this is too much information for you. But maybe it's your ticket to the best fitting hiking boots on the planet. I beg you to consider your options here. You could try on a few pair of boots, buy the pair the "feels good", and hit the trail. Or you could study up on how hiking boots are built, and go boot shopping armed with the facts. I know which trail I would choose! How about you? For even more details on how to buy hiking boots, including how to get the right fit, read this article. My hope is that you found this hiking boot buying guide to be helpful and informative on your quest for the best hiking boots. Still not sure you're a boot buying expert? Send me your hiking boot questions, using this contact link. I answer every email I receive from hikers, because it's the only way I have to pay back all of the wisdom and training I received when I was a younger hiker just getting started. 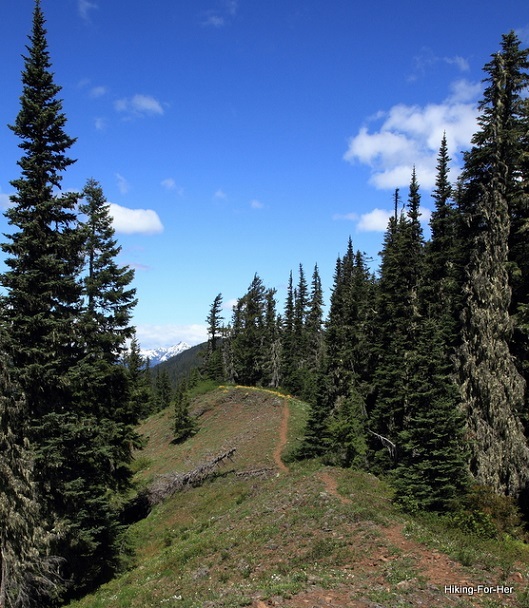 If you enjoyed this detailed hiking boot buying guide, you'd love Hiking For Her's Trail Mix!